At least five people have been confirmed dead following Hurricane Florence's landfall on the east coast Friday. The storm has since been downgraded to a Tropical Storm. 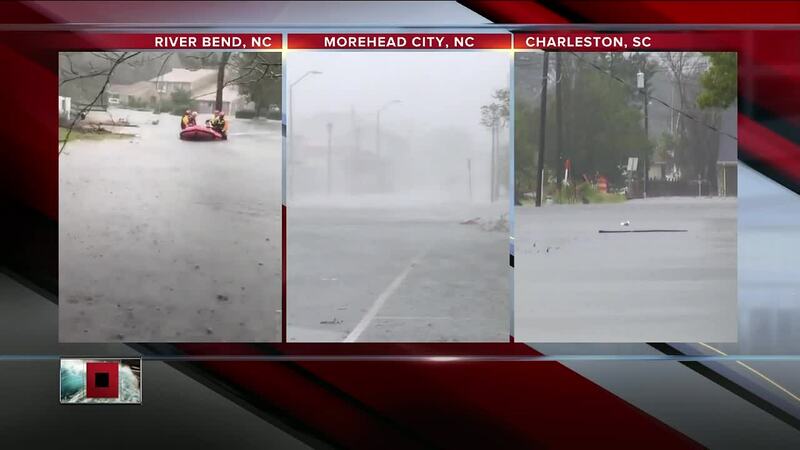 WILMINGTON, N.C. (AP) — With Wilmington cut off from the rest of North Carolina by still-rising floodwaters from Florence, officials plan to airlift food and water to a city of nearly 120,000 people as rescuers elsewhere pull inland residents from homes threatened by swollen rivers. “Not only are you going to see more impact across North Carolina, ... but we’re also anticipating you are about to see a lot of damage going through West Virginia, all the way up to Ohio as the system exits out,” Brock Long of the Federal Emergency Management Agency said Sunday on Fox News. Long lines formed at gas stations in Wilmington, North Carolina, on Sunday as residents tried to refuel cars and keep generators running at home. Around 700,000 North Carolinians were without power as Florence pounded through the state. 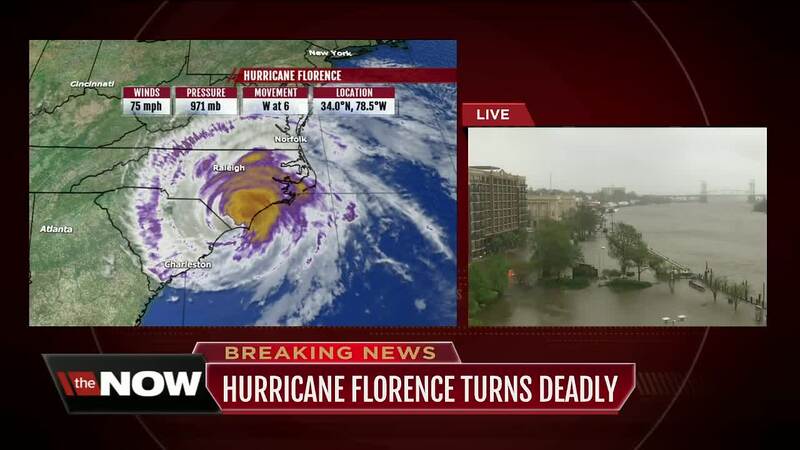 Downgraded to a tropical depression, Florence was still massive. Radar showed parts of the sprawling storm over six states, with North and South Carolina in the bull’s-eye. Meanwhile, half way around the world, Typhoon Mangkhut barreled into southern China on Sunday after lashing the Philippines with strong winds and heavy rain that left dozens dead. More than 2.4 million people were evacuated from China’s southern Guangdong province ahead of the massive typhoon, the strongest to hit the region in nearly two decades. The storm’s death toll climbed to 17 when authorities said a 3-month-old child was killed when a tree fell on a mobile home in North Carolina. Three people died in weather-related traffic accidents, officials said.